Welcome to the Random House Children's Banned Books blog tour! 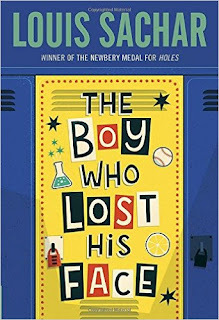 I am so excited to be celebrating Banned Books Week with Random House and The Boy Who Lost His Face! Check out my shortened review below, and a discussion of the banning of this particular book. David is only trying to be cool when he helps some of the popular kids steal Old Lady Bayfield’s cane. But when the plan backfires, he’s the one the “old witch” curses. Now David can’t seem to do anything right. The cool kids taunt him and his only friends are freaks. He even walks into Spanish class with his fly unzipped! And when he finally gets up the nerve to ask out a cute girl, his pants fall down in midsentence. Is it the Bayfield curse at work? Or is David simply turning into a total loser? This review is going to be very abridged! Like a mini-review. David is a young boy in middle school, who is friends with Scott. Except Scott wants to hang out with the cool kids (Randy and Roger), and David isn't quite cool enough to hang out with them. The boys decide to steal an old lady's cane from her, and the old lady places a curse on David! Suddenly everything is going wrong - David breaks his parents' bedroom window, his fly is never zipped, his pants fall down, he spills flour everywhere. Meanwhile, his "friends" make fun of him and completely push him out of their circles, and David makes two new friends. But will the curse ever be lifted? This is Middle Grade, if you couldn't tell or didn't know! I haven't read a Middle Grade book in a long time, but I've enjoyed them in the past. I read Holes at least ten years ago, and loved it! This book was great as well. I loved that the author hit so many issues that a kid in middle school would experience: fitting in, liking a girl, being awkward, dealing with younger siblings, growing up, learning good things and bad things. So many great topics Sachar hit in this book, which is pretty great. It takes me back to when I was in middle school! 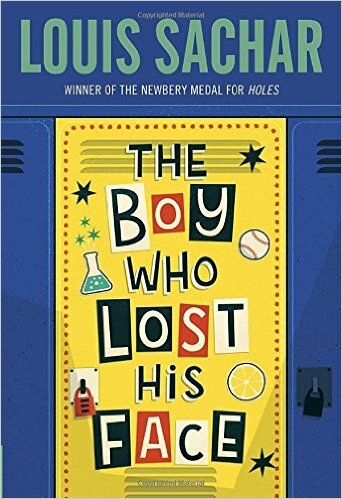 I was surprised to see that this was on the banned list, but as I was reading, I had to constantly remind myself that this book is Middle Grade! Not Young Adult or New Adult or Adult. See my discussion of why this book was banned at the bottom of this post! Overall, I liked following David's story. It was cute, funny, and all too real. I know I haven't said much specifically about the characters or plot, but just know that this is definitely a great book to give new teens! This book was adorable! I don't think I have any dislikes at the moment. For new teens, I'd recommend this book! It's very real, yet very humorous. It's also short, less than 200 pages! It was banned (for reasons we shall ignore), but it's definitely something younger teens will enjoy and relate to! 4 stars. Louis Sachar is such a well-known and talented children's author, so it doesn't surprise me that I liked this book! I wish I had read it as a kid, it was published a few years after I was born! I did read Holes as a kid, and I liked that book a lot. - Profanity: David learns what "flipping the bird" is, as well as he learns and uses some heavy duty swear and curse words, like bulls***. All part of growing up! - Bullying: David gets bullied in this book, as does one of his new friends, Mo. Mo is bullied by Roger, Randy, and Scott, who ask her if she is a boy or a girl, or if she is a dog. Kids are rude. Kids are cruel. There is one scene in this book that is terrifying - David and some of his friends get into this crazy bad fight with Randy and Roger and Scott. The violence was shocking, for this book! In my personal opinion, these reasons are silly. Youths today are learning about sexuality and profanity at a very young age. As for bullying, that is also something that can be experienced at a young age. And the occult - well, Harry Potter is probably worse, right? 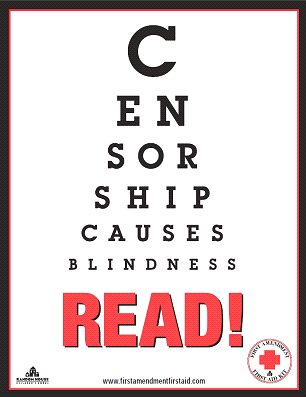 Banning books would make me want to read the book even more! There was a great discussion about banning books at the Baltimore Book Festival this past weekend, with Kami Garcia, Melissa Marr, Jennifer L. Armentrout Martina Boone, and a few others. With this book, there are so many reasons to hand it to new teens and young adolescents! So I clearly don't think this book should have been banned. Bring on Sachar! I love seeing a book that tackles an early teen's issues. Right? People need to chill. Books are fiction! This blog tour post is stunning Alyssa :D Thank you oh so much for sharing. <3 I hadn't heard of this book before. But it sounds great :) I'm glad you liked it. Ugh. I haaate banning of books. SO MEAN. September 2015 New Release Giveaway!